A healthcare professional with over 20 years of experience in both clinical care and healthcare management experience, Debbie was once homeless herself. She is recognized for her ability to work with very diverse clients and staff, and for outstanding skills in assessing needs, recommending sensible solutions and effectively managing and motivating staff to implement quality care in a spirit of collaboration. Ms. Johnson possesses a Bachelor’s Degree in Science and is currently studying for a Master’s Degree in Public Health and Social Work. She has received numerous awards since establishing TLCC. Tommie has a Bachelor of Science Degree in Home Economics from Prairie View A & M University,Prairie View, Texas. She is a widow with two children and four grandchildren. 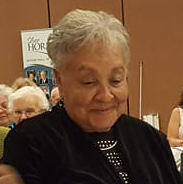 She was a Substitute Teacher in Albuquerque Public School for three years and Home Economics / Culinary Arts Teacher at Albuquerque Job Corps for nine years. 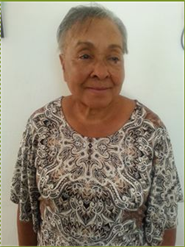 Currently involved in Church and Grandchildren’s activities, she loves to travel, sew, quilt and make crafts. 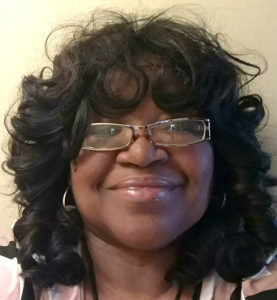 Tommie is currently the nursery coordinator and new comer welcome baskets overseer at her church and a volunteer instructor at TenderLove. A Professional Teacher with a compassion for Education, Diana has 10 years affiliation as Teacher at First Fruits Christian Academy, Albuquerque, NM teaching grades preschool through 6th. She was instrumental in starting a Spanish language class, assisting in the planning and coordination of a variety of music programs. She was awarded “Teacher of the Year” for two years. 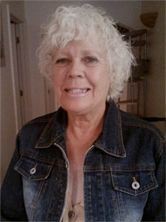 Her academic education was at University of Pacific, Conservatory of Music, Stockton, CA and Diana served in U S Navy Reserve as specialty Hospital Corpsmanm, Girl Scouts of America, Troop Leader Special Olympics of Rio Rancho, Coach and Parent Upward Athletic Program, Coach, Leader First Fruits Christian Academy, Summer School Program, Teacher, Assisted Event Coordinator. is an Attorney with his own law firm specializing in personal injury cases including vehicle accident, insurance bad faith, Social Security disability, medical malpractice, real estate litigation and workers’ compensation. He received his BA and his JD from UNM. He previously served on the board of Wesley Kids’, a nonprofit entity providing daycare services to all income level families, and has volunteer for for Habitat for Humanity, Roadrunner Food Bank, Samaritan Counseling Services and Joy Junction. 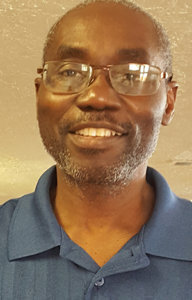 Tony came to the U.S. in 1977 to study Petroleum Engineering at NM Institute of Mining and Technology, earing a Bachelor’s in Engineering in 1982. 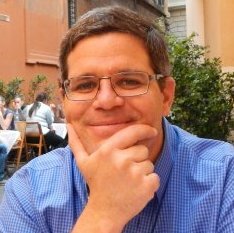 After many years in Petroleum Engineering, Tony found fulfillment teaching math to at risk youth, first as an instructor at YDDC, then at RFK Charter School, and since 2006, teaching Intermediate Algebra as a remedial education instructor at CNM. “I played ping pong, soccer, tennis, and field hockey before I became the Sports prefect in my senior year in high school in 1973. This was when I started to learn about Christianity. I have had the opportunity to travel to Puerto Rico, Bolivia, and Mexico to represent Nigeria in World Racquetball Championships between 1998 thru 2002. I have been active within my church community since 1990. I am currently active in the Ushers, Marriage, Men, and Prison ministries.” He has been married for 35 years, and has a son and a daughter. Owner/Operator of an assisted living facility in Albuquerque, NM. 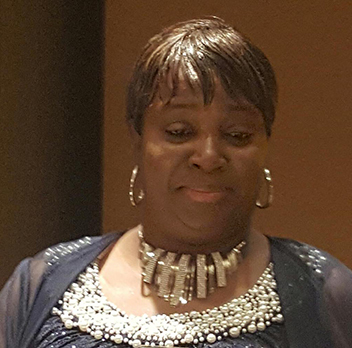 Ms. Starford has a degree in Business Management, has been a health care professional for more than 15 years. Lily’s invaluable support and advice was essential for TenderLove to open for its first program year in 2013. She continues to be an essential part of TenderLove. 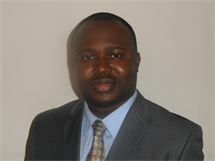 Dr. Adedokun is one of the three founders of TenderLove, giving generous spiritual and financial support. Specializing in Family Medicine, he attended Obafemi Awolowo University Ile-Ife Nigeria obtaining an M.B.Ch.B. (M.D.) degree in 2004. He currently studying to be certified in the U.S.
Board Meetings are held quarterly and are open to the public. Please contact TenderLove Community Center for date, time and location of next board meeting.